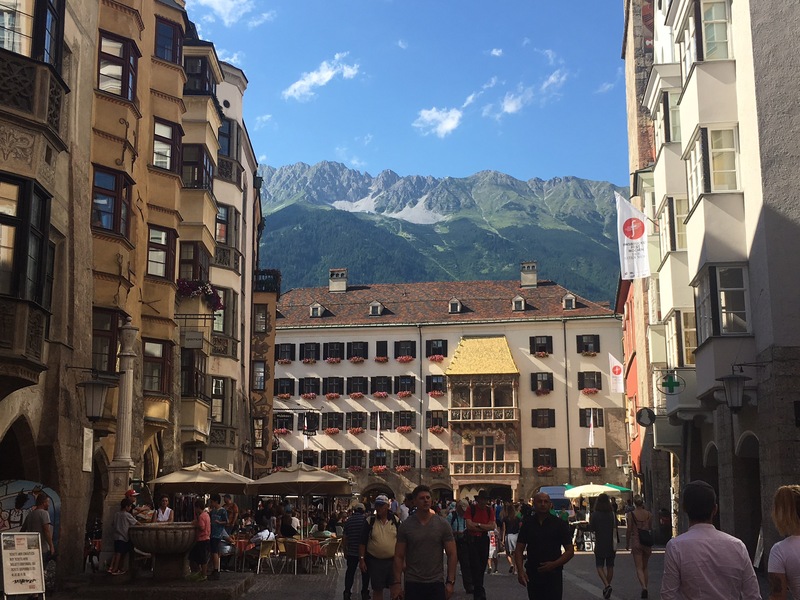 We visited Innsbruck nearly 30 years ago in the middle of winter as part of a skiing trip to Europe – the worst season in 50 years- and loved it. 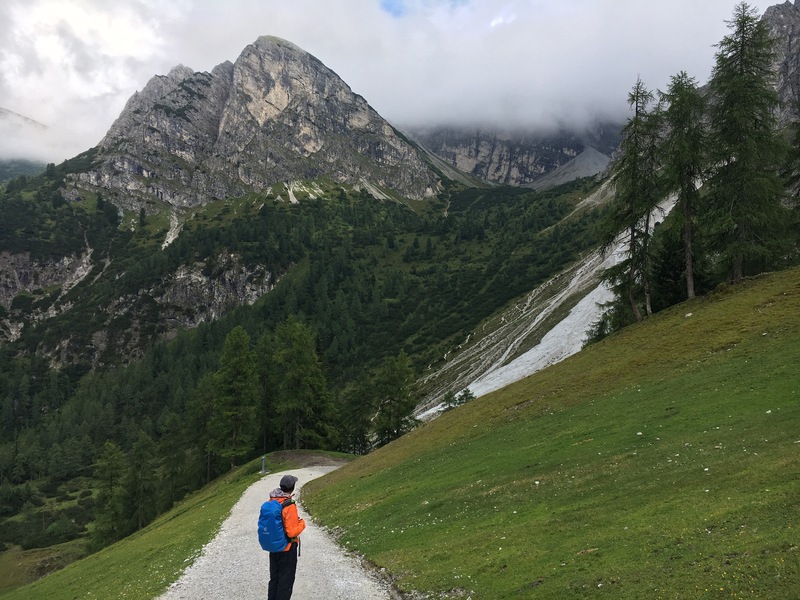 This time, in the middle of summer, it was the lure of hiking in the mountains that made us return. With a campground just a few kilometres from the town centre we were in a good position for exploring the area. 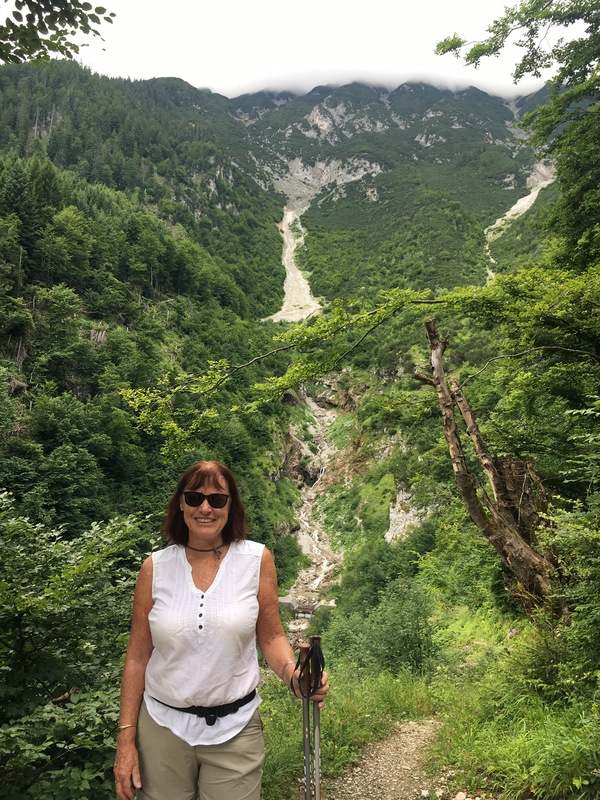 The first day we took a cable car up high ( cheating I know) and did a beautiful hike along a high trail for a few hours before lunch at a mountain auberge and an ancient single seater chairlift back down. 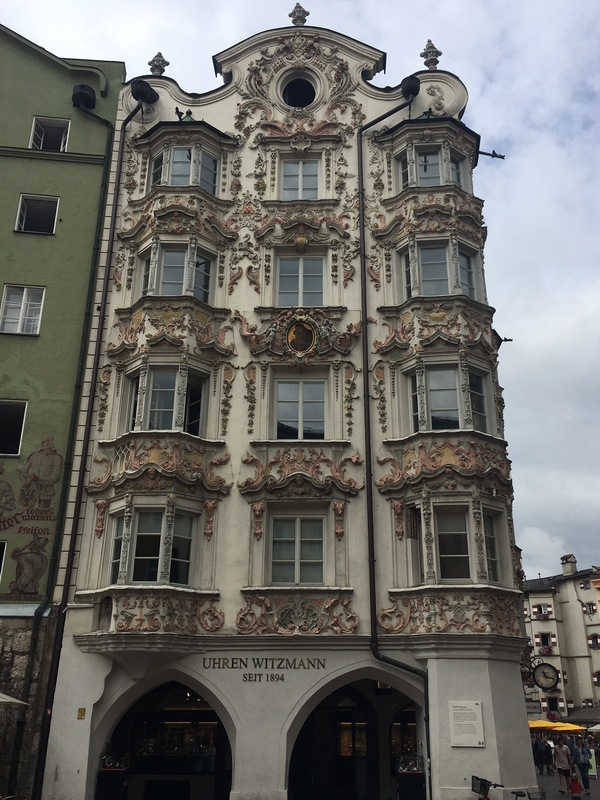 Innsbruck has a stunning location in the valley between two high mountain ranges. 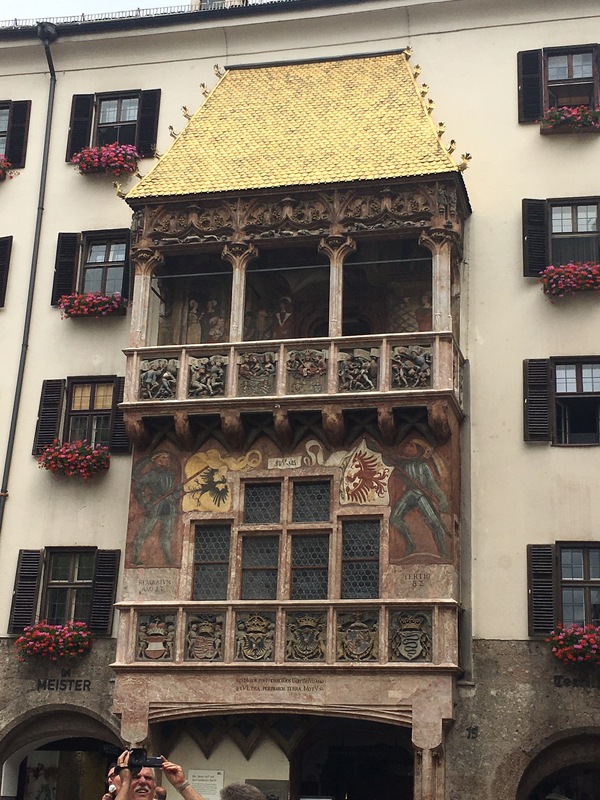 As expected at this time of year, it was full of tourists but the old town was still well worth visiting. Most days there we managed to get out hiking for a few hours although the weather was quite changeable. 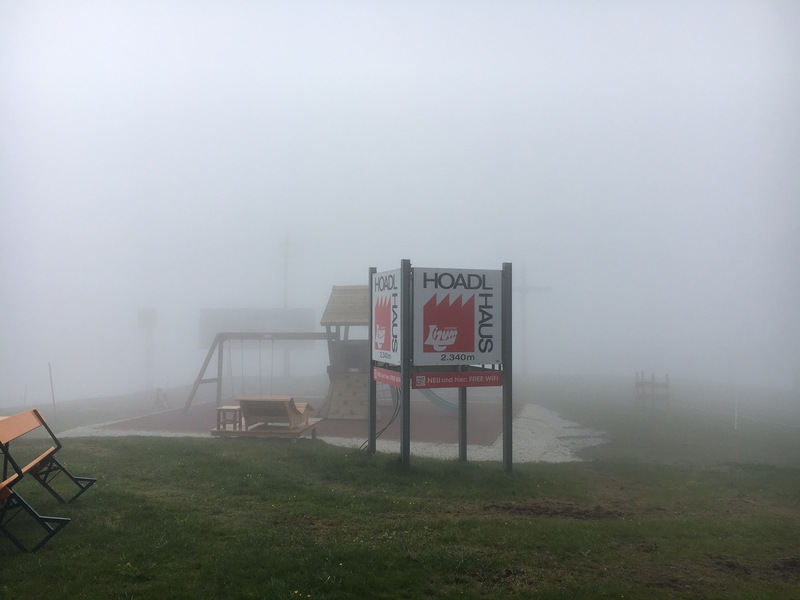 One day we took the funicular up to Hoadl at 2340m with some misgivings because of the cloud. It was about 4-5 degrees at the top and not so inviting so we fortified ourselves with a hot gluwein before deciding to walk down regardless. 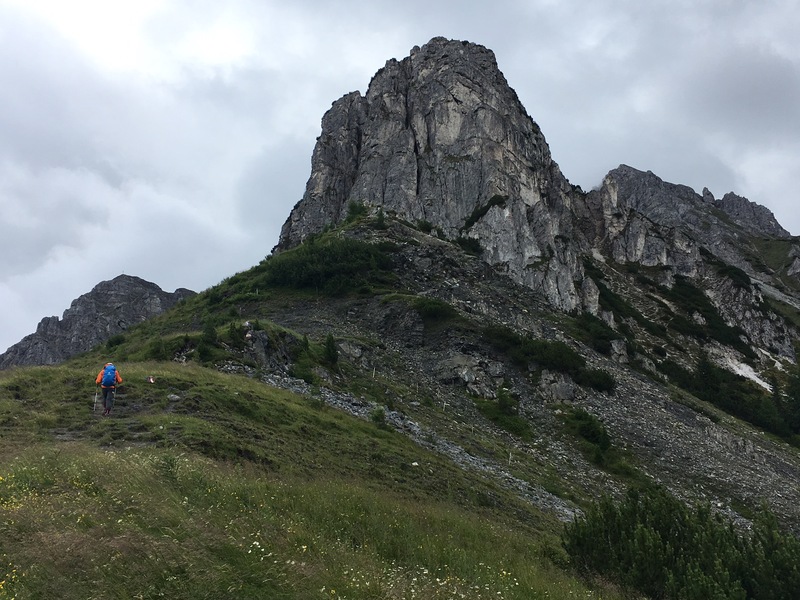 We ended up having a fabulous walk down dropping 1000 metres of altitude and some great views of the mountains on the way. 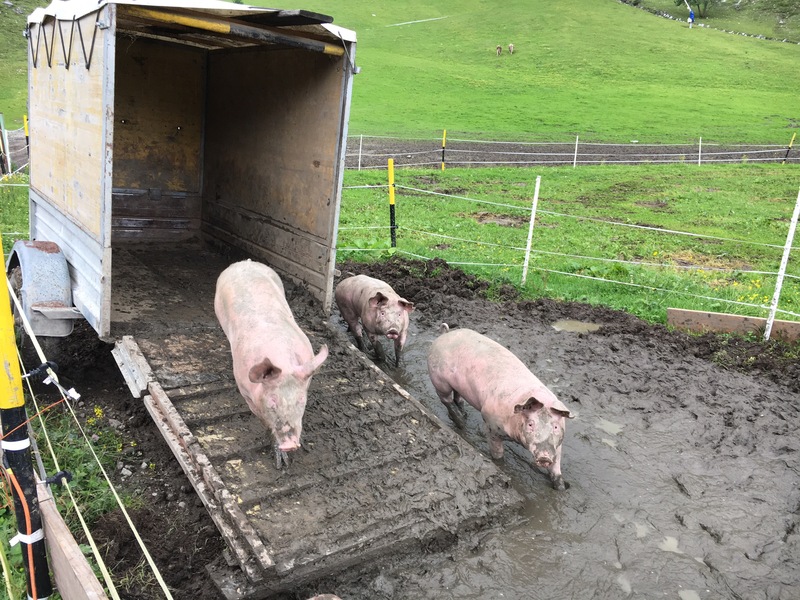 Couldn’t resist photographing these pigs on the way down but did wonder about eating even free range pork after seeing them. 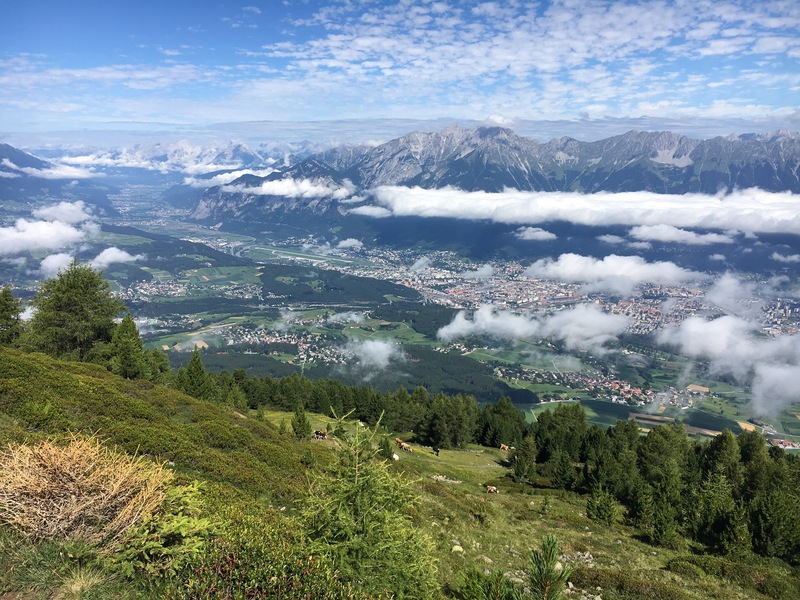 Innsbruck is a great area for hiking – if the weather had been better we would have done longer hikes but …..
We had to move on to Bad Waldee in southern Germany where we had an appointment at Hymer to get some things fixed on the van. 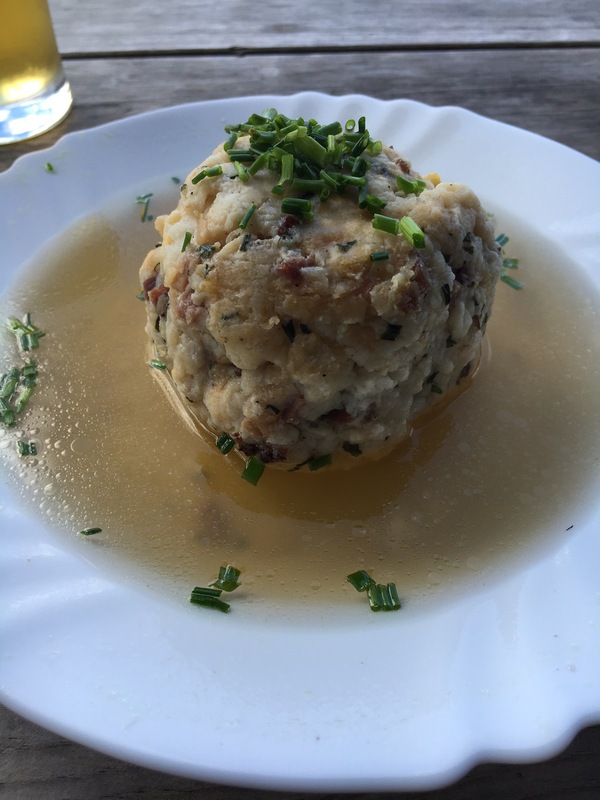 Next blog – Frederickshaven on Lake Constance.